Our clients are given the choice to make online or offline payments. We comprehend the requirements of our customers. Thus, we ensure our payment methods are legal, secure, and practical. Courtesy a state-of-the-art warehousing unit and an ultramodern inventory control system, we take care of product storage related work with ease. Our warehouse and system empowers us to maintain year round products' availability. 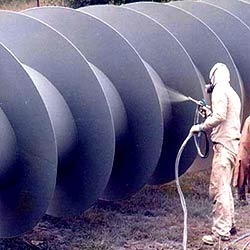 The Zinc Phosphate Primer is accurately formulated in order to ensure its effectiveness.